Jennifer Armentrout is one of my most favorite go to authors, she could write textbooks and i will still love them! The Lux series has been one of my top five series for a long time and i have re-read the other books in the series over and over again! 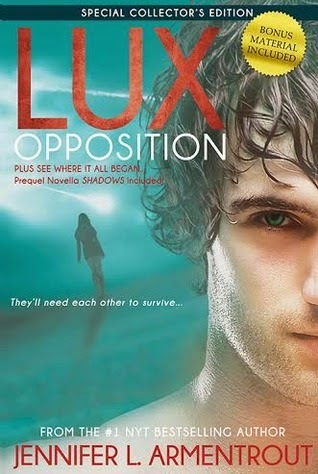 Opposition is the conclusion to the Lux series and is one of my most anticipated reads for this year, especially after the epic cliff hanger in Origin! I will be incredibly sad to see this series end but know it will be one i can enjoy over and over again!